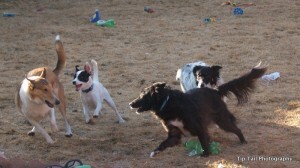 It seems like in the dog sports world, most people find a breed and pretty much stick with it. And then there is me. LOL. When I had Tatum and Levi at the ASCA rally and were walking around with just them, I found it odd that I had only two dogs with me on leashes and they were both smooth collies! I will admit, I am not as bonded to my two Border Collies as I am to the Smooth Collies and the Danish Swedish Farmdog. I don’t think I’ll be getting any more Border Collies. They are fun, but just not really my breed. Which may be odd to say since they are such a common agility breed. In the future I plan on getting at least one more Danish Swedish Farmdog. Hopefully a girl. And I’d also love another Smooth Collie. I have a name for a boy Smooth Collie, Quinn, I’d love to get a dog to match it someday! So eventually I’ll probalby go down to two breeds. But I don’t think less than that. I love the Collies and the Farmdogs! Oh, and as I was making up new pictures for the pack… I thought I’d say that I always list them in the order in which they came to live with us. For those we have now, Lucy came first, then Levi. Then Angel, but she is gone now and I was very sad that I didn’t make a new picture for her. Then Chase, then Tatum, Muffit, and finally Jet. So it’s not in order of age, it’s in order of who came first. What a happy family. Nice new format, and their smiling faces lined up to greet us. OOOOOH I think it is fun to have different breeds… The S farm dogs sound like really neat dogs, and they sound like they have sure clicked for you!! !